Unique Parking Garage is located on 21st Street between Park Avenue South and Broadway (1 block to the west of Maialino). 6 train to 23rd Street, 4, 5, 6, L, N, Q, R & W trains to 14th Street/Union Square. 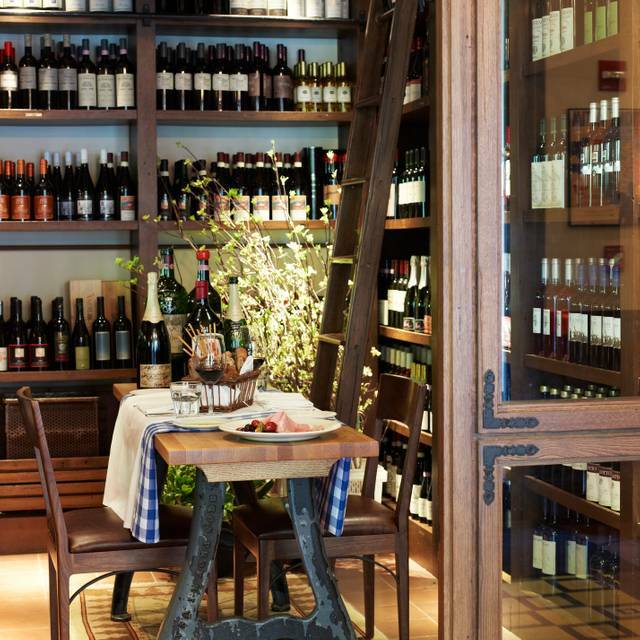 Maialino is a Roman-inspired trattoria from Danny Meyer’s Union Square Hospitality Group, located in Gramercy Park. Maialino captures the warmth and comfort of a true neighborhood trattoria, with a menu that celebrates the restaurant's ongoing relationship with its local family of farmers and suppliers. Executive Chef Jason Pfeifer draws inspiration from the Roman cooking tradition to create soulful food, reflective of the rich culture of both Rome and New York. Maialino is a non-tipping restaurant. Hospitality Included. Maialino is one of my go-to favorite places. I’ve had friends work there over the years, and I visit whenever I have a tonnarelli a cacio e Pepe craving. Although my primary residence is now in Los Angeles, it is not a proper trip to NYC without a dinner at Maialino. The worst service I've had in Manhattan. It was my boyfriend's birthday which I had noted beforehand and the restaurant confirmed on the phone. We had to wait 25 minutes for our table. Despite me telling the staff that we were in a hurry once sitting down, after waiting so long, because we had a show to catch (again for the special occasion), we never had a waiter come take our order or welcome us or speak to us when we sat down. We had to flag down the som to put in our order. No one spoke to us the rest of the evening except at the very end to grumble happy birthday. We missed our show. The food was good, but can easily get the same quality of food elsewhere. Underwhelming experience. Had friends visiting and we all arrived prior to our 7:30 PM reservation; finally sat after 8:30 PM. Once sat, we had to flag down server several times to order our food and wine. The pasta was tasty; however, left feeling like we were a massive inconvenience. Everything about this restaurant is amazing. The food is among the best Italian I have ever had and I lived in Rome for 3 years. The entire staff is focused on you having the best experience possible. The sommelier was extraordinary,she listened carefully and suggested a beautiful wine which was much less expensive than the bottle we would have selected and it paired perfectly with our meal. Yum yum go with an expense account! I've been to many Danny Meyer restaurants over many years. I hadn't been to Maialino in at least a year, and so was excited to be out of the house for an "adult" dinner without my 4 year old. While I am happy to report that the food at Maialino was as tasty as ever, the service was unacceptably indifferent and almost forgetful. After taking our orders, and pouring our wine, we never saw the server again until we reminded him that our pasta course, and then our main course hadn't been served after an uncomfortably long time between courses. No other staff ever stopped by to ask if we needed anything. We had to ask for the most routine aspects of food service, almost as if the waiter forgot that he had to actually bring us the food from the kitchen. We ordered ice cream and espresso for dessert. We finished the ice cream and the server appeared, to ask if we still wanted our espresso. We declined. 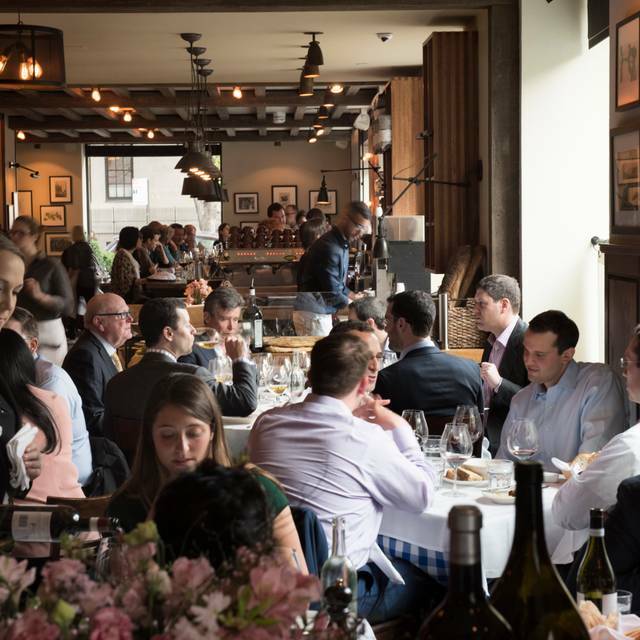 Because gratuities are included in the increased pricing at Danny Meyer restaurants, there was no opportunity to express our thanks or in this case, disappointment with the service. I had a similarly disappointing experience at the relocated Union Square Cafe last year. So much for having written a book on hospitality. Union Square Hospitality Group has lost its way. Delicious food in a warm and charming setting. Staff was attentive and friendly. Maialino is a keeper - a placed I always to back to. A got to, consistent place with exceptional food and service + ambiance and great clientele. Relax in Rose Bar after - best bar in New York - no seriously. Our first time at this great Italian restaurant and it surely did not disappoint. From the food to the service, everything was fantastic. Maialino is a super casual place, even though it has table cloths, and most were dressed in jeans. We were seated promptly at our reservation time and had a wonderful server named Stevie who was friendly and knowledgeable about the menu. In addition the manager Mary, and sommelier Ben, were polite and helpful. Now on to the food. Everything was excellent. Starting with Cacio e Pepe that had just the right amount of cheese and pepper, nothing was overpowering. And then on to the malfatti with the most tender sucking pig and arugula, possibly with a hint of lemon was delicious and making my mouth water as I write. For entrees, after seeing so many suckling pig with roasted potatoes go out, we had to try it. INCREDIBLE, with the most crispy skin on the entire top. Also the half chicken, was super moist and melted in your mouth. We enjoyed a delicious brunch . The service was wonderful from reception to servers. The menu is interesting with choices to please everyone. The food was delivered timely and everything was so flavorful. Treat yourself but be sure to make reservations in advance as it fulls up quickly. The food and service were fantastic. Everything you would expect from a USQFG restaurant. Highly recommend! Delicious Italian food , excellent service , friendly atmosphere- Will definitely recommend this No-Tip ( Hospitality Included) gem to friends ! I ordered the Ricotta pancakes and asked for fruit with them. I was told “ we don’t have strawberries, raspberries, blueberries or really any regular fruit because it’s not in season”. They bright my pancakes and they were two blobs in a plate. They tasted really good but the presentation was terrible. I would have made them prettier at home. Also, I missed having them with fruit. It’s never good when an excellent restaurant says “no” to a customer. Especially a Danny Meyer restaurant. The room is gorgeous, but I don’t think I will go back. Our waiter seemed disinterested in serving us and overall seemed like he was ready to leave for the night and wanted to rush us out the door. We felt very uncomfortable especially since we were staying at the hotel and had the whole evening planned For our friends birthday and looked forward to the night. I’ve dined at maialino many times before and this was a first. My experience at Maialino was perfect. I was celebrating my birthday with friends. The service was spot on and totally professional. The ambience was elegant, but not stuffy. The food was superb. The Maialino was spectacular. I am looking forward to my next visit very soon. Business lunch, host and guests absolutely delighted. As always, a wonderful dinner - food, service, ambiance. James was our charming waiter who clearly loves working there. Don’t recall the name of the excellent sommelier. My husband left his credit card, called later and received a prompt call back confirming his card was in the safe. Would come back to this nice Cousy place and delicious kitchen. Worth it. My date and I shared the Polpo appetizer and it was amazing! He got the suckling pig bolognese, served with house-made fettuccini, and by the look on his face, he enjoyed every single bite. I got the brodetto, which was very flavorful, just wish I could’ve tried the bolognese (couldn’t because of Lent). Definitely recommend! Everything was lovely- except the waiter who was perfunctory in his ‘service.’ Hostesses were very pleasant and welcoming. Food was delicious! Never disappointed by the totality of the experience at all of Danny Meyers’ restaurants. Porchetta sandwich was inedible. Otherwise it was okay for a Sunday lunch. Would not return, though. Noisy, crowded, and way, way overpriced. $16 for a little basket of pastries? $18 for a brunch cocktail? No thanks. Food was delicious and staff knowledgable without be overbearing. Wonderful restaurant, great atmosphere, delicious food. Had to put up a little stink as after making reservation a month ago, they lead us to the worst table in the restaurant, but they corrected it without too much of a wait. Would go again. 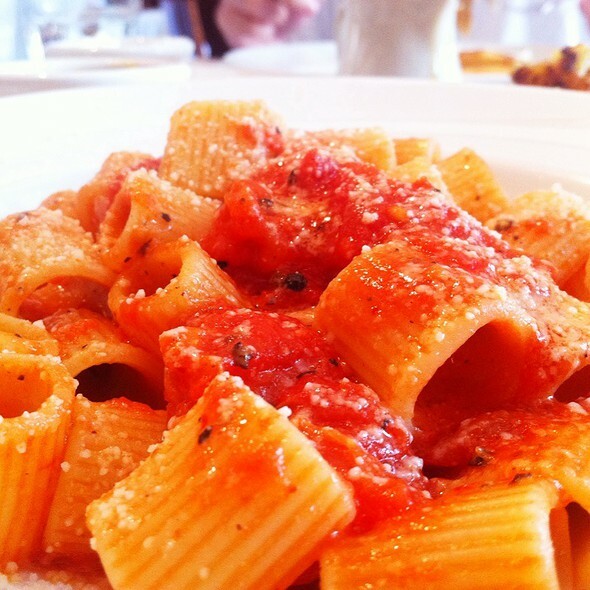 I had the best rigatoni of my like! Everything else is also amazing. Really amazing food. My only complaints were the prices and the food was a bit salty. But quality of the food was amazing! Simply amazing. From beginning to end, we had a great experience. I’d have to say that our experience was only made better by our waiter, Jeff. He was super knowledgeable, attentive (but not annoying! ), and made sure we had a great time. Would definitely go again and recommend to friends. Do yourself a favor and order the mushrooms! Hands down the best mushrooms I’ve ever had. Excellent value for quality of food and service. Great time was just very cold inside while eating. One of my favorite restaurants in nyc. Consistently delicious and consistently great service. I don't know how many years it's been now, but Mailino continues to impress. It has become our family's go-to place for celebrating birthdays and anniversaries. The service is just the fight mix of knowledgeable, friendly, and never over-fussy. And, of course, the food almost never disappoints. Excellent food and service. We were happy to pay higher prices instead of tipping. Good for Danny Meyer.